We made it! 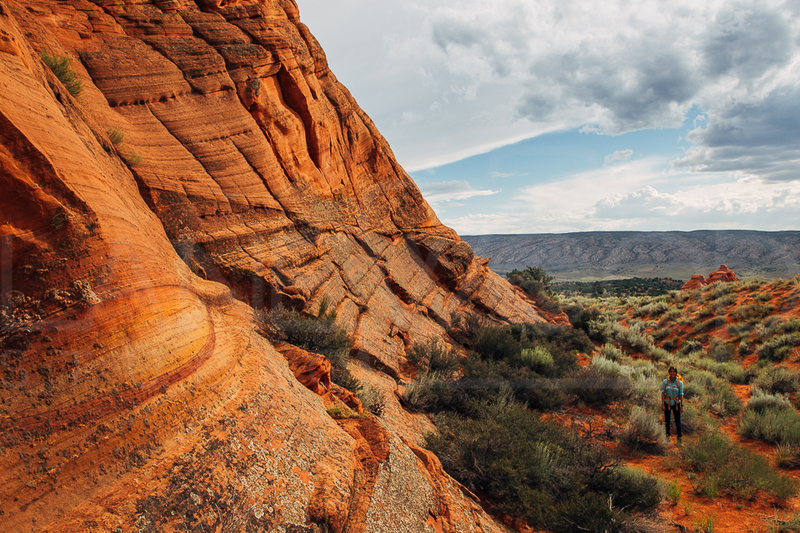 We’re among incredible wave-like rock formations. We hiked 4 miles up 1000 feet of elevation on a deep sand road to get here. I had to stop a number of times and Corey carried my bag a bit. It hasn’t helped on this trip that I grew up at a 10ft elevation level in Florida, but I’m so excited to be here. There are no trails or people, and I love that. We can run, climb, and play as we wish here. Truly trees, mountains, and nature are the ultimate playground. What a rush these past few days have been. Our car is caked in mud and sand is everywhere. 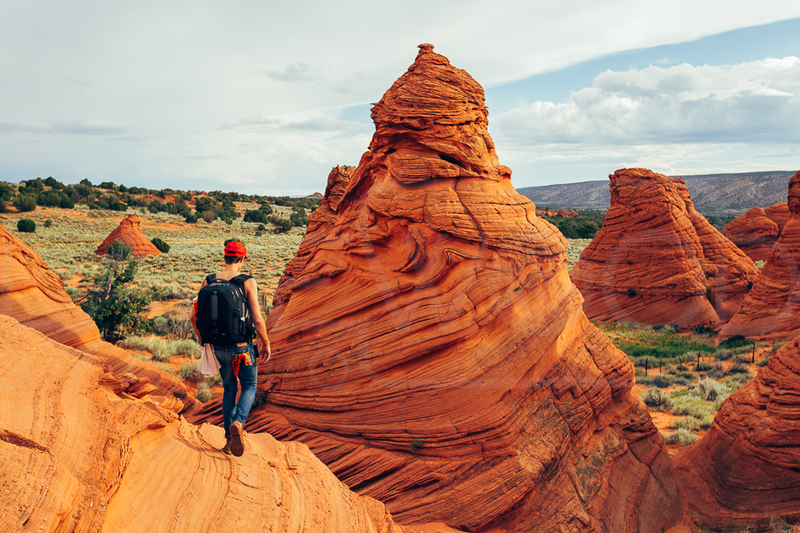 Coyote Buttes South is a beautiful, geological formation of sandstone. The formation looks like waves of rock slowly melting. As we drove on the road to get here, we passed a sign that read, “Impassable When Wet”. The weather forecast read, “1% chance of rain” for the area. When we drove down the dirt road halfway, it 100% rained. I drove a bit faster to get to our campsite before we got stranded. 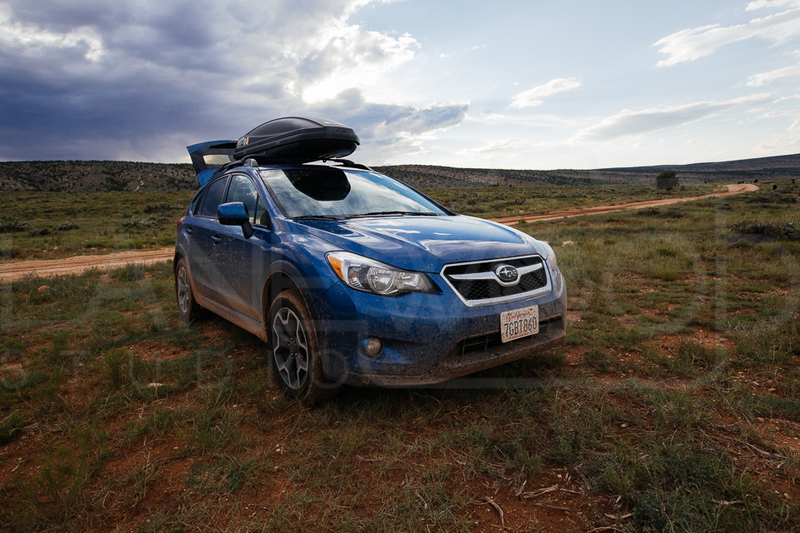 Our Subaru Crosstrek XV did amazing on the muddy roads. We didn’t get stuck once. I think I scared Emily a few times as I splashed and fishtailed to the campsite. I had a blast. At the site, we didn’t think it was possible to make it to the canyon because of the heavy rain and thunder coming down. When the rain stopped, we drove up to a fork in the road. One way led back out to the highway where we would move to our next location. The other way led to the canyon over treacherous, muddy roads for 4x4’s only. We followed our hearts down the treacherous, muddy road. We figured, high risk = high reward. We got to the access point, but still had a rough 3-mile hike up about 1000-foot altitude. Boy, it was worth it. When we finally arrived, we climbed, ran, and jumped all over the place. We were in the wilderness. No trails, signs, or crowds of tourists. Just nature and us. On our way back, we hiked through a herd of cattle. Some ranchers on horseback were corralling them together. It’s a strange feeling when every cow stares at you. The cowboys waved back at us as we climbed into our trusty Subaru and rode off into the sunset. We decided to head onto Page, AZ without a place to stay. 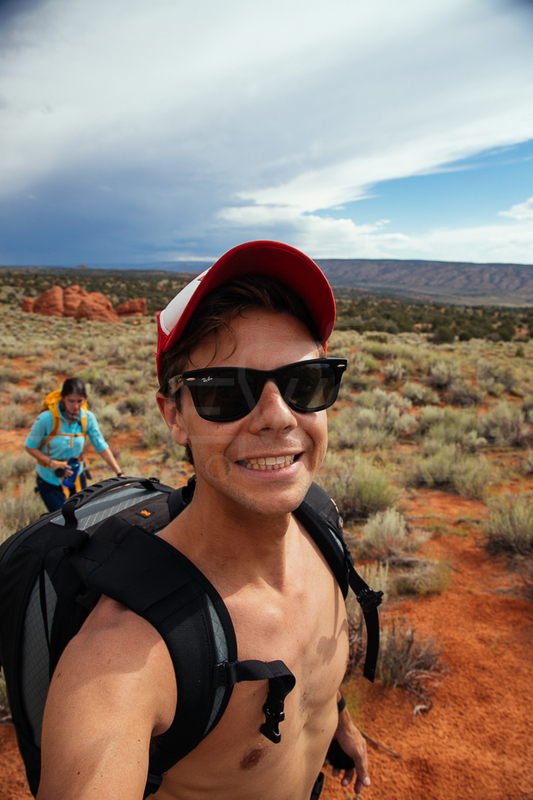 Thankfully, I was on the phone with a full campground when they suggested a place called Lone Rock outside of Page. Just as he said the words, a small, brown sign for “Lone Rock” appeared in our headlights. 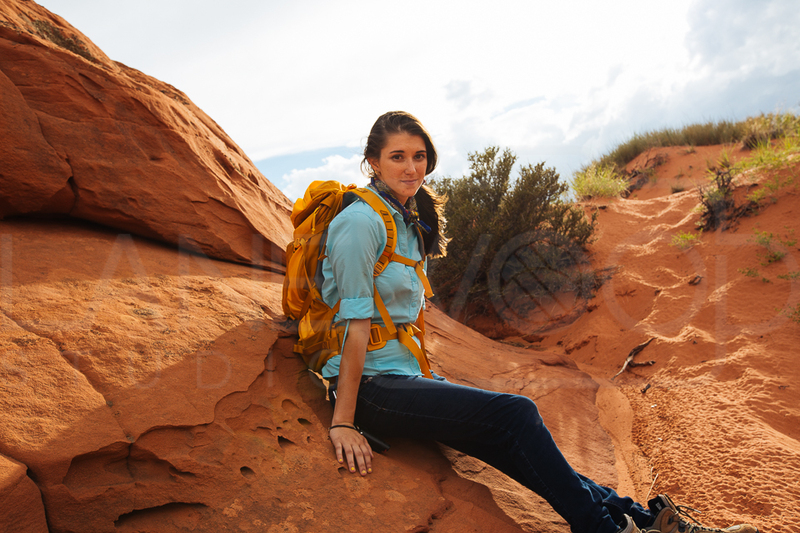 We sharply turned into the campground and pitched our tent on Lake Powell Beach. With a staple meal of Ramen and sausage, we are off to bed with tired legs and happy thoughts. We both just ate a bacon burger at this local spot in Page, AZ. 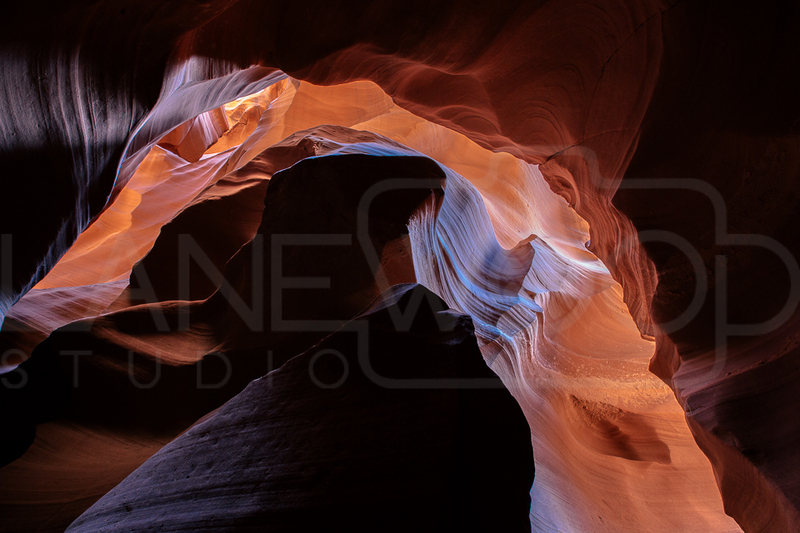 We just got off a photo tour with Antelope Canyon photo Tours. 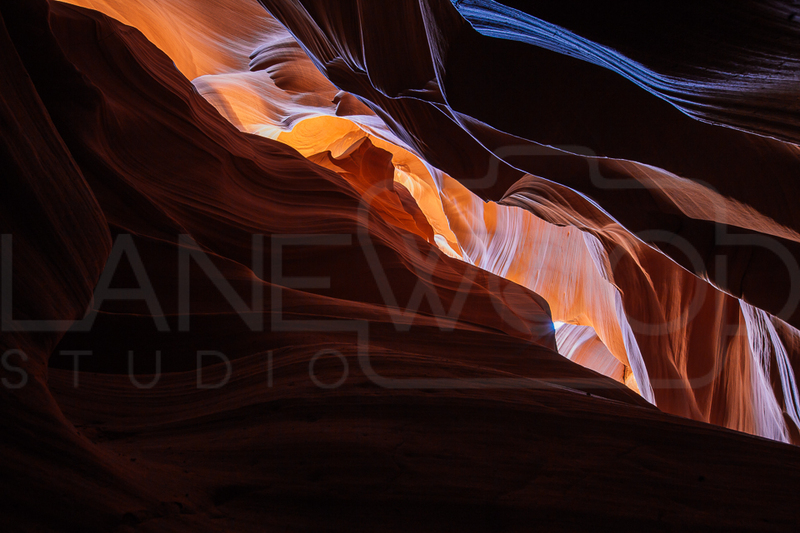 The tour company and Antelope Canyon is owned by the Navajo Nation, which sits in the middle of the U.S. completely free and ungoverned by the U.S. government, taxes, and laws. It’s the one nation you don’t have to have a passport to visit. 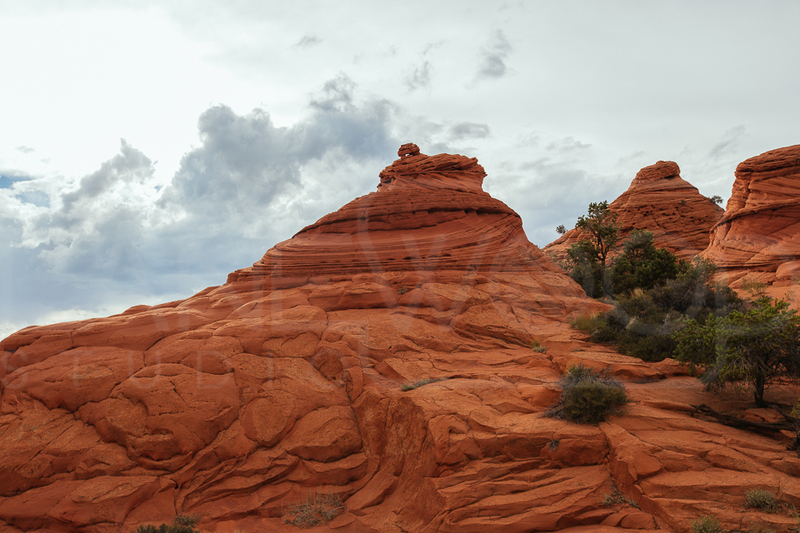 The curved, red, and violet rock creates an aspect of mystery and curiosity of history. 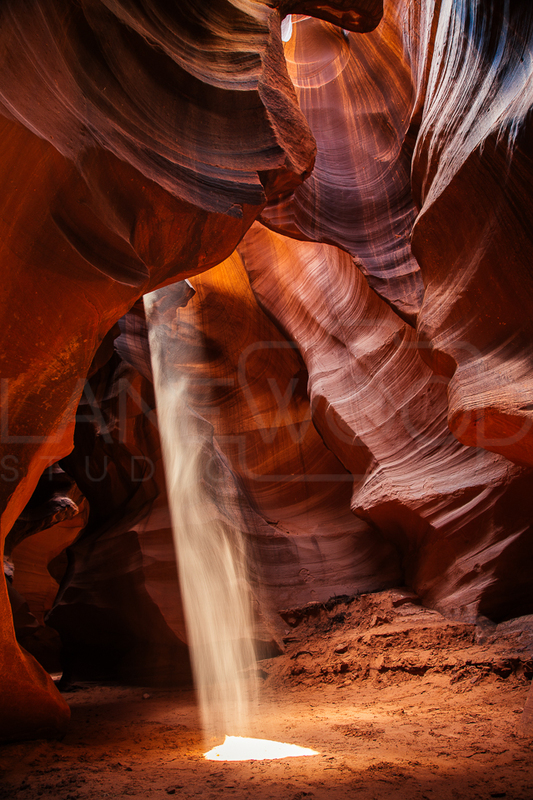 Light spills through dust in the air to create almost a waterfall effect in the narrow canyon.